Sometimes it's tough to be the youngest. I love this photo and the story it tells! It is tough being the youngest and not being able to do what the older do! Awww! This is adorable and so sad at the same time! Poor little one! great picture for the thought! So true!!! I love this AND your new watermark is FANTASTIC!!!!!!!!! Sweet and sad at the same time! Nice capture! Yes for sure! Great photo. 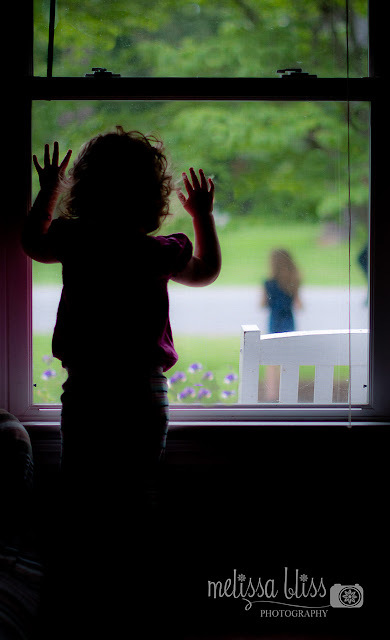 love this photo and her little hands on the window. it makes me want to just give her a big squeeze. Love this shot! Her little hands are so cute! Love everything about this photo...the story, the composition, the contrast between the dark and the light...great shot!